Posted on August 14, 2011 by malbrown2 Comments1 Comment on Nothing like being at a protest. Nothing like being at a protest. Many people take for granted our right to free speech and the right to protest. Today, Judy and I took part in a protest situated in front of the Victorian Parliament house along with a couple of thousand other people. 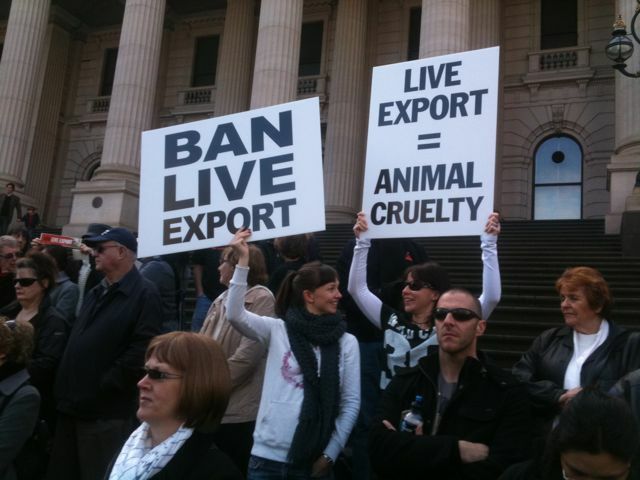 The cause was to ban the live exportation of Australian livestock. 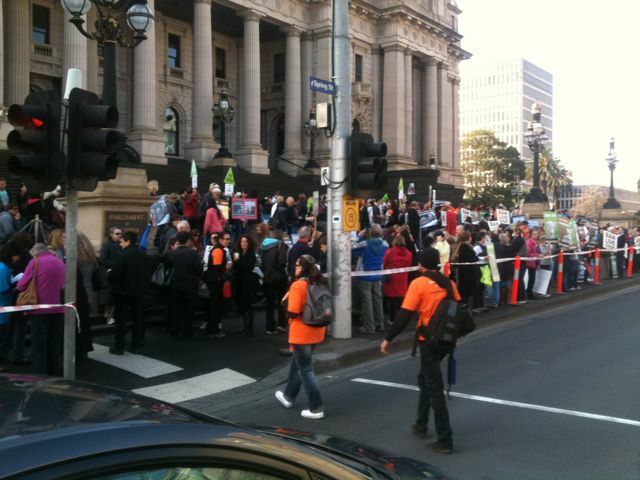 We were able to hear Lyn White, Hugh Wirth and Adam Bandt speak. I held a poster of the steer shown on the 4Corners program while Judy’s poster had an unknown steer. It was a great morning and good fun. I hope it pays off. This shot was before things started and numbers did significantly increase. There were young, old, male, female, a few dogs and a sheep at the protest. Good on you both for taking the time to stick up for what you believe in.